The brochure described the state in glowing terms and drew interesting connections to Theodore Roosevelt along the way. This scan is presented for research and educational purposes only. Permission to reproduce required. 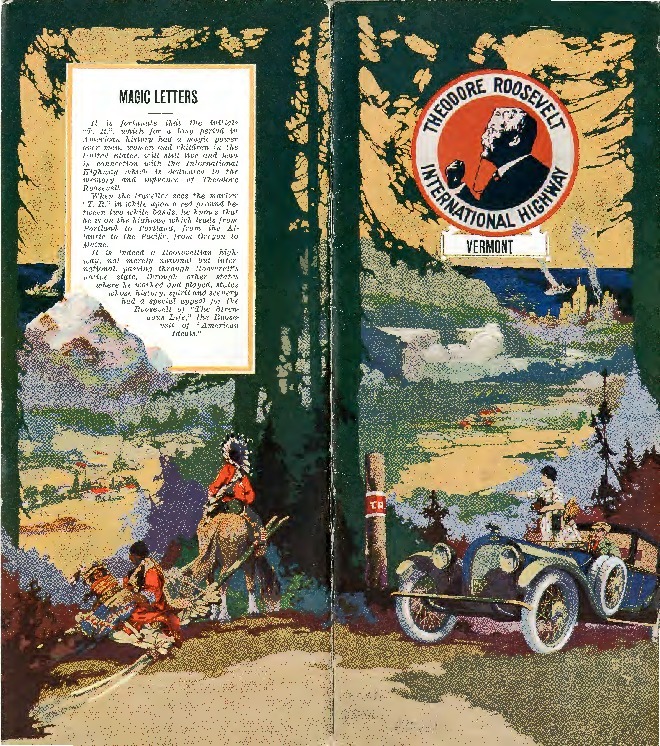 Theodore Roosevelt International Highway Association, “Vermont's Brochure (Full Text),” Digital Vermont: A Project of the Vermont Historical Society, accessed April 18, 2019, http://digitalvermont.org/items/show/1266.